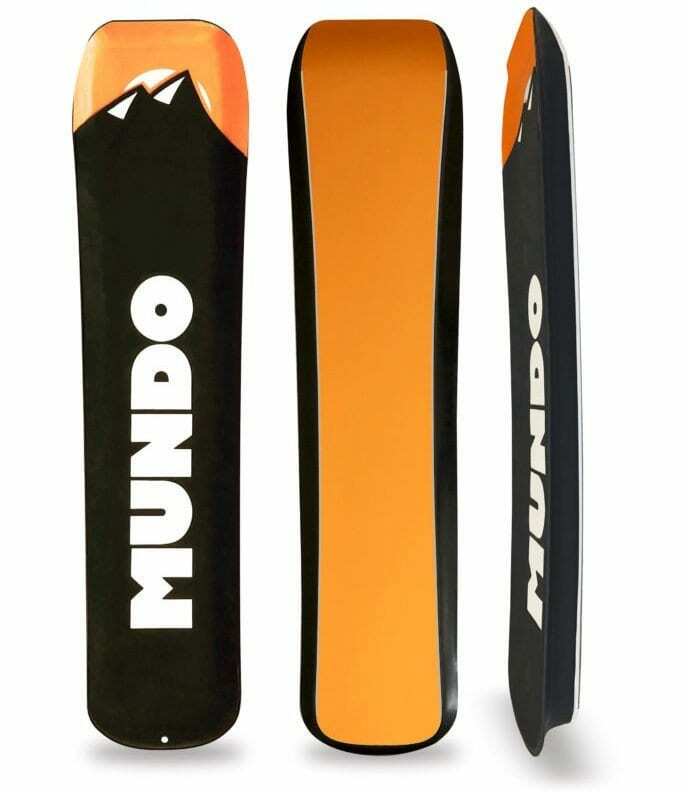 Mundo Trailboards has launched a Kickstarter campaign that is bringing a much needed evolution to the world of winter sports by offering consumers a bindingless snowboard that caters to hikers and snowboarders through its versatile form and usability. 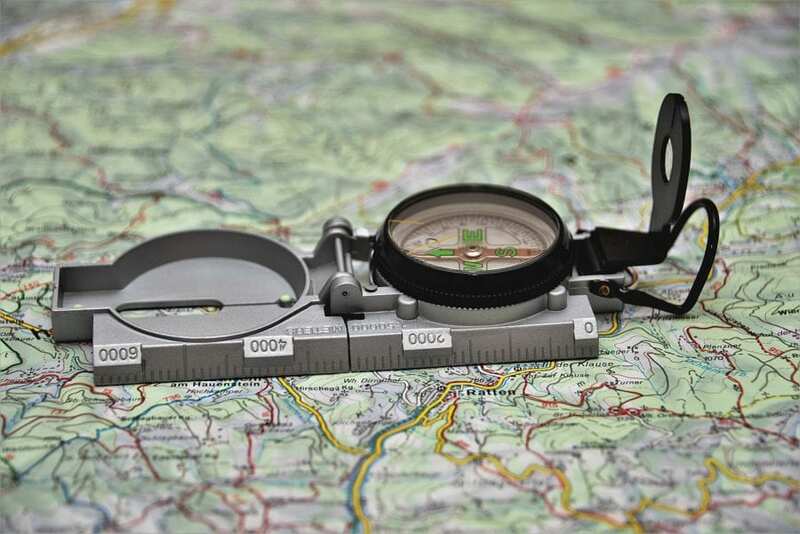 Compact and lightweight, the trailboard is a perfect vehicle to bring on winter hikes. 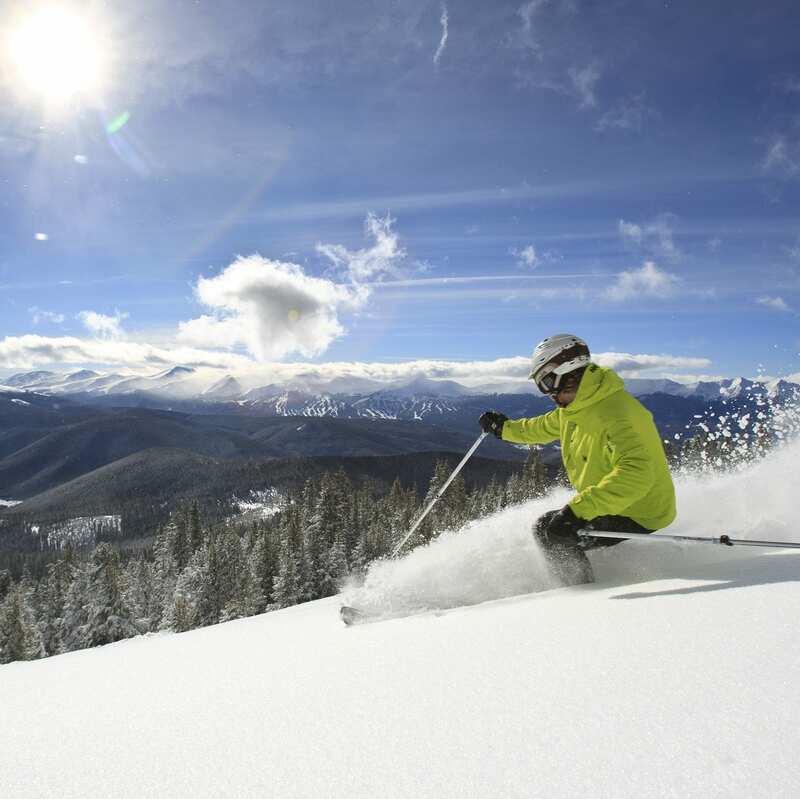 Based on innovative and thoughtful design concepts, Mundo Trailboards successfully addresses the problems faced by today’s snowboarders and skiers such as accessibility, convenience, and cost-efficiency by delivering the most portable snowboard ever made. 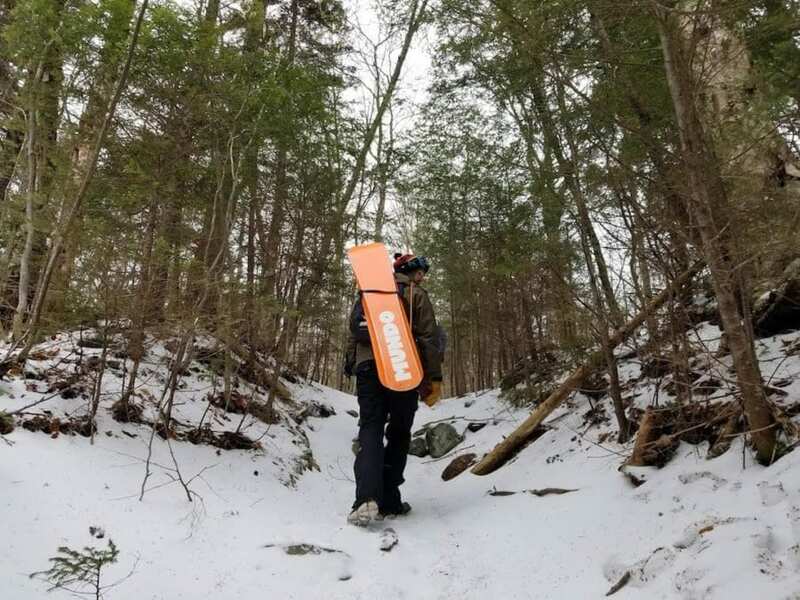 With the trailboard, you’ll no longer think “too expensive,” “too far,” or “too inconvenient” because it gives you control of where and when you snowboard. 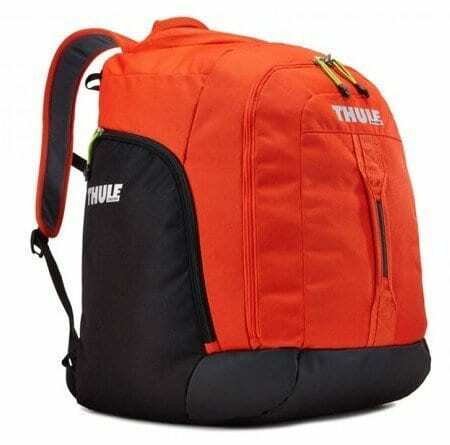 Unique Contoured Shape: The shape of the trailboard is designed to give you the functionality of bindings, without actually needing them. By making the base narrower than your feet, you have heel and toe leverage to control the edges, allowing you to turn and stop just like a standard snowboard. 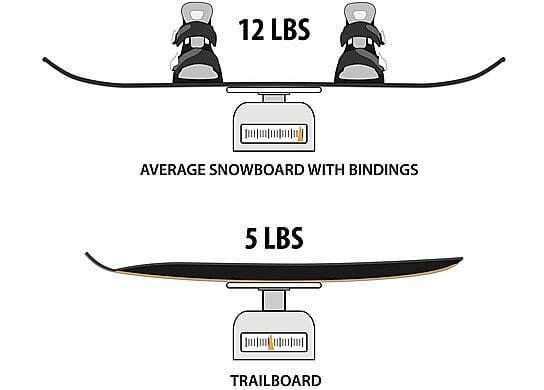 Portability: The trailboard is shorter than a standard snowboard and less than half the weight. This makes a huge difference when bringing it to places outside the resorts. Safety Leash: The trailboard comes with a coiled leash to keep the board from getting too far away. Attach it to your ankle, wrist, or belt and it will never run away from you. Materials: The P-Tex base and steel edges help the trailboard glide and carve just like a snowboard. A ton of strength is provided by the shape, meaning we could choose lightweight materials and no fiberglass! Mundo Trailboards are available now for pre-order on Kickstarter for the early bird price of $319 ($399 retail price). For more information on the Trailboards, visit the campaign on kickstarter.com.